More Than 1 Million Apps - Most Free! Movies, Music and Books Also. Start Small ..GO BIG ! 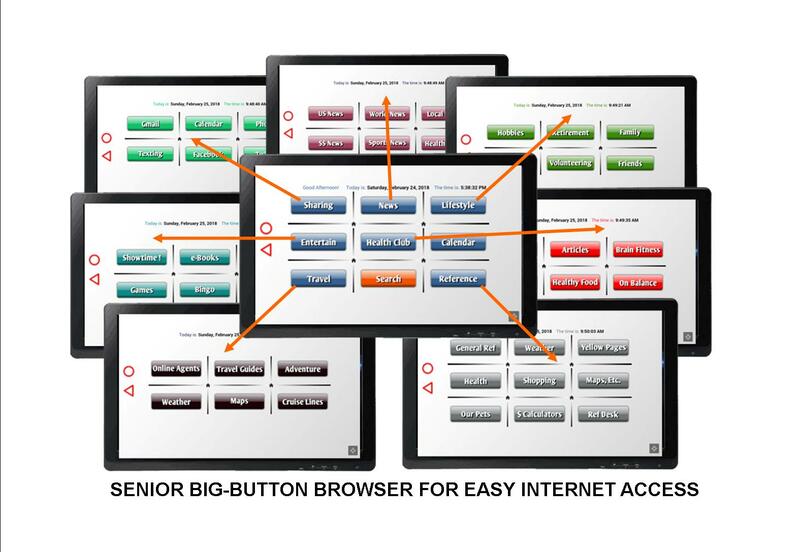 BIG BUTTONS and content that is most interesting to seniors. Although you are not locked out of going anywhere on the Internet, you can quickly zero in on some juicy senior information. 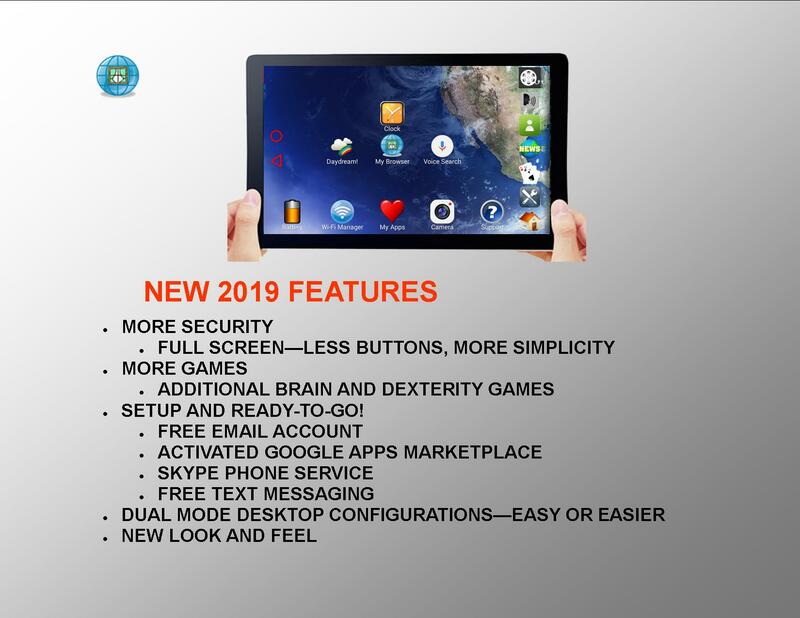 Initially delivered to you with more than 100 programs installed behind a simple Single Screen, this configuration is used as an easy-starter mode or for those seniors who would be content with only having a few of their favorite apps front and center. 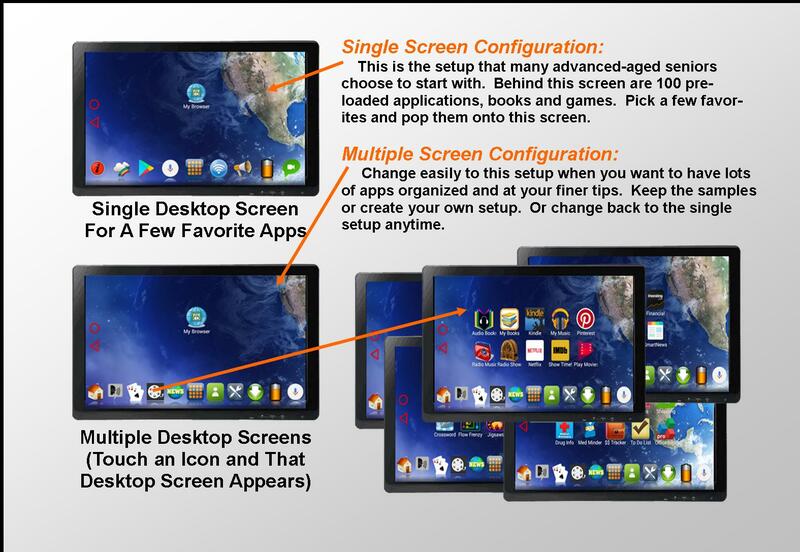 Then, later, (or never), switch to the Multiple Screen approach where all genres (games, news, entertainment, communication, etc.) have their own screens. Switch back and forth anytime. 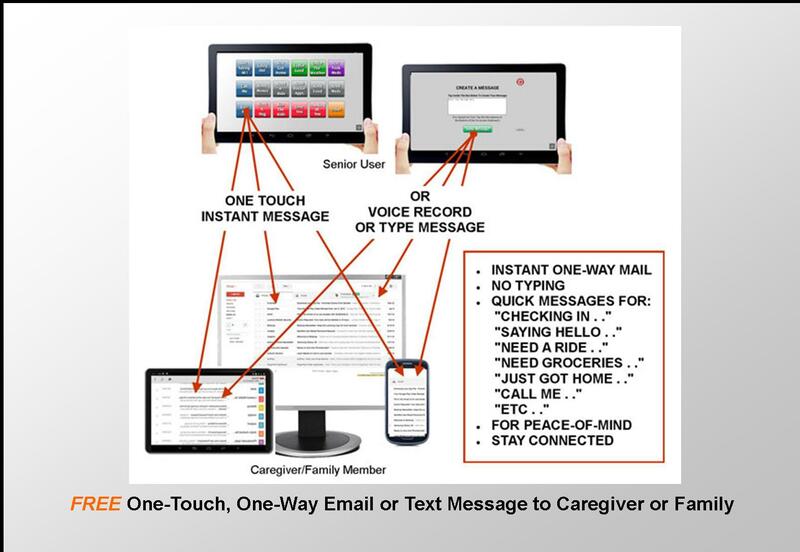 Our Quik Mail feature is the ultimate concept of staying "iN-Touch" with your family or caregiver. This is a FREE service with pre-programmed short messages that require literally a single touch to send a quick greeting or need in the form of a one-way email or text message. Letting your family hear from you often is the most convenient way imaginable to share peace-of-mind with loved ones or your caregiver. 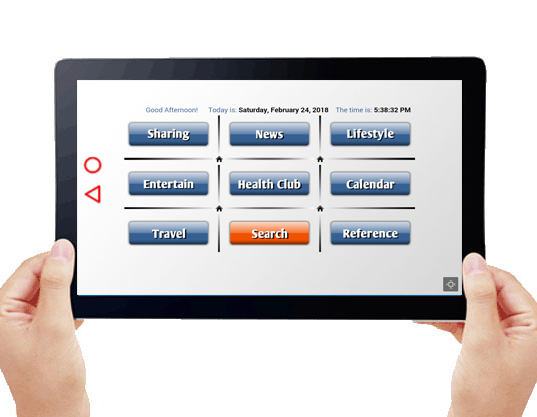 Conceived as a communication tool for those of us in advanced years to stay connected to our friends, family and the world around us, the Senior Touch Pad tablet was introduced in 2011 as a simple-to-use, mid-range-priced tablet computer to enrich all aspects of senior lives. We wanted to make a portable device that was not a scary, complicated pc or with a tiny, hard-to-see smart phone screen. We found that a 10" tablet was visually and portably just right. However, most of the ones on the market had great wiz-bang things they could do, but some of the features, though impressive to the younger generations, just complicated something that should be more simple. So, we set about to add more useable features and remove most of the scary ones. However, even with good communication tools, we noted that while their children are busy with their heavy work schedules, school activities, and domestic chores, many seniors are experiencing loneliness and a downtime vacuum that they tend to fill up with mind-numbing TV viewing. As a result, many fall into a lull in physical and mental exercising at a time in their lives when the human body and mind need it the most. 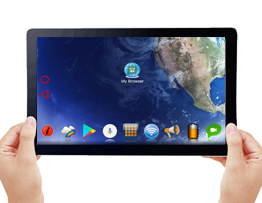 So, in 2014 we introduced the Senior Gamer, an offline tablet filled with 100 of the games that seniors have enjoyed playing their entire lives. Now, instead of being force-fed entertainment from the "tube", they can enjoy fun INTERACTIVE entertainment that stimulates the mind and helps them to retain the mental sharpness from their youth. 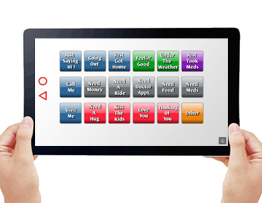 As a result, our system uses an extremely powerful, yet very simple one-touch, large-button approach to connecting seniors to the outside world as well as providing stimulating enjoyment during those downtime hours. the products that we sell.